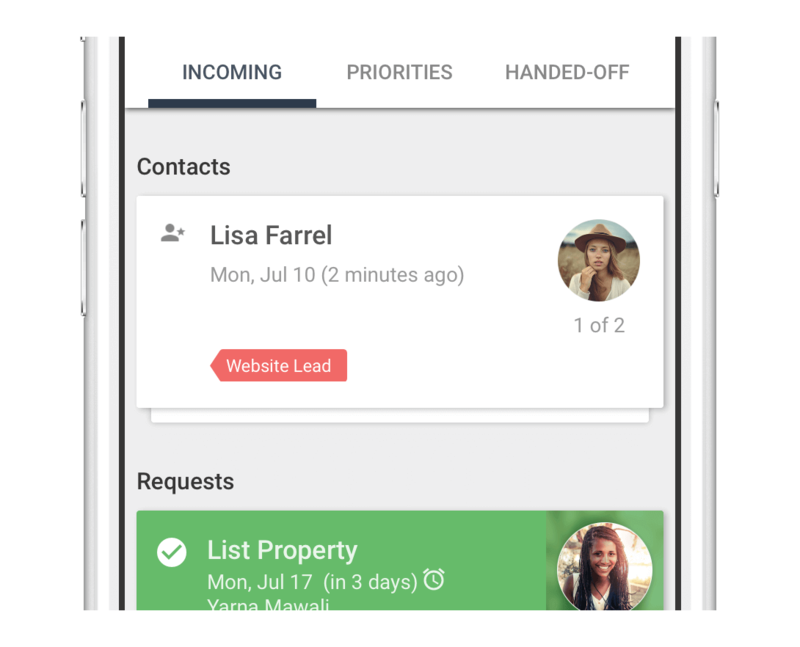 A new lead comes in, a task is almost due, or your boss assigns you a client — Solve Client Manager provides personal organization to keep you on top of it. 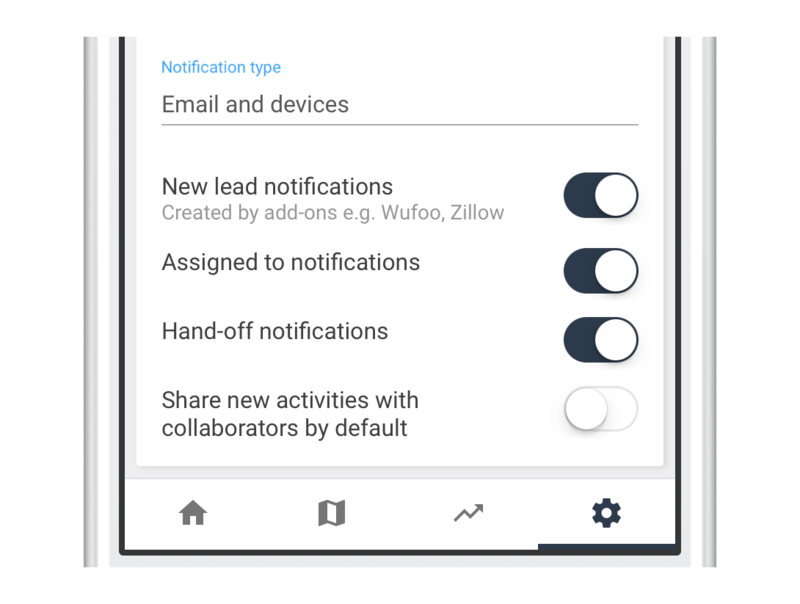 When something important or time sensitive comes up, Solve Client Manager instantly notifies you via your iPhone, iPad, Android, or favourite email app. 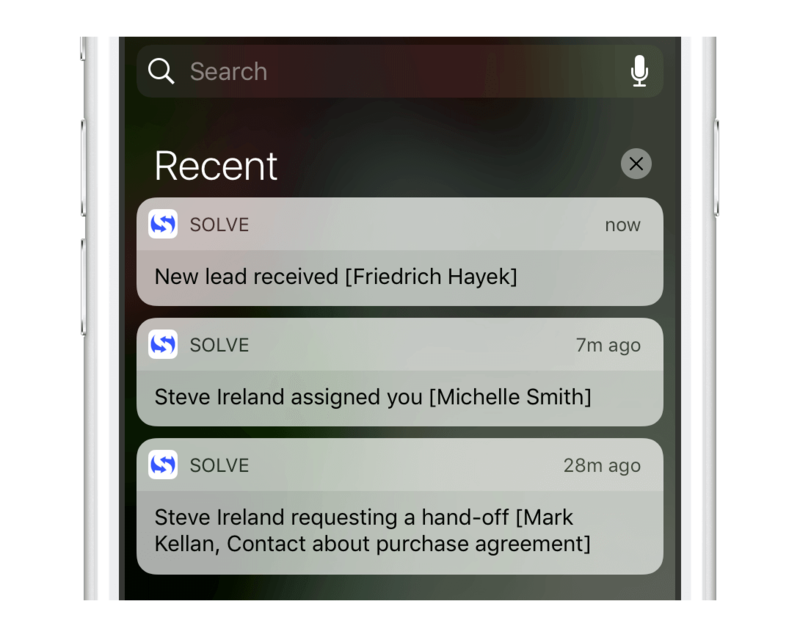 Notifications also streamline Solve’s popular new “Hand-off” feature. Imagine you’re a Realtor selling a house or a contractor coordinating a job site. You’ll need to easily delegate work to people both in and outside your team. Having helped thousands of businesses, we understand that delegation is often where collaboration breaks down. 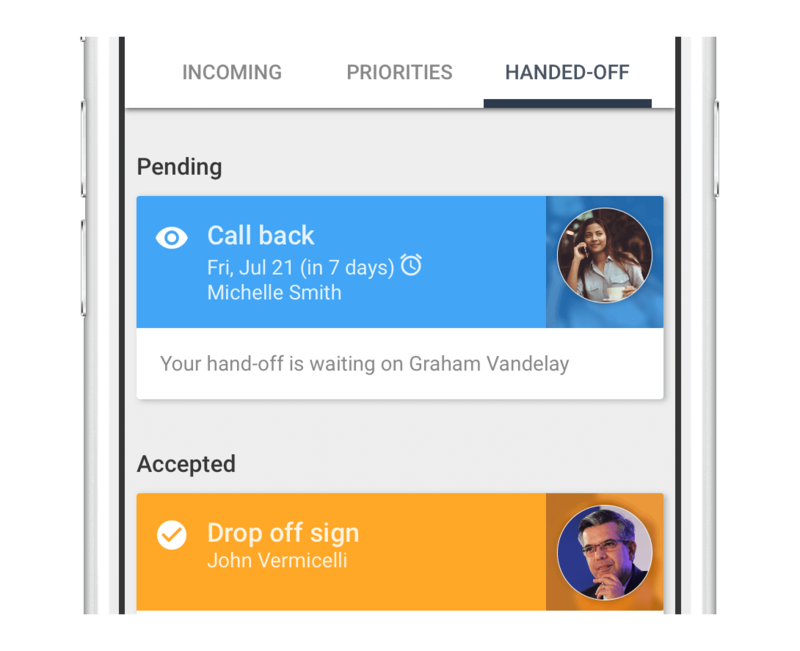 Hand-offs and notifications offer a tight delegation protocol that feels simple, AND because tasks are always on two people’s radar, nothing ever falls through the cracks. Collaboration in Solve is free, so it’s easy to share records and assign tasks to anyone with a phone. They’ll download Solve and start working with your team.